Did you know that Jaromir Jagr had his own peanut butter? The ‘90s were a weird time, especially for endorsements. If you haven’t seen them, you can check out things like Wayne Gretzky’s Pro Stars cereal, Brett Hull’s Frosted Flakes commercial or Eric Lindros and the Flyers’ mini pizza commercial. The acting in them is Oscar-level. 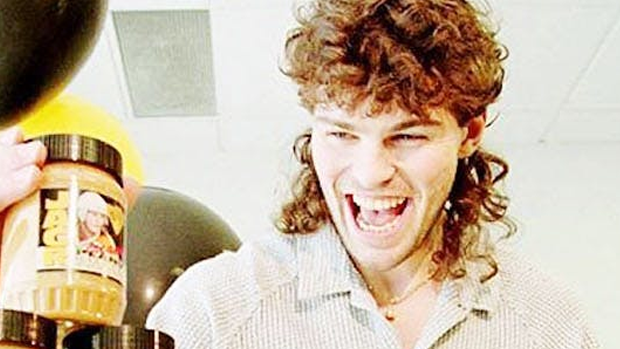 Well, Jaromir Jagr may have had the best one of all. He had his own peanut butter and his explanation as to why he got into the Peanut Butter business was truly bizarre. That’s right, Jaromir Jagr is claiming that he had a going injury which was healed by rubbing peanut butter on it. So, his peanut butter had magical powers. Perhaps that’s how he’s been able to play in the NHL for so long – he’s been taking peanut butter baths for his entire career.